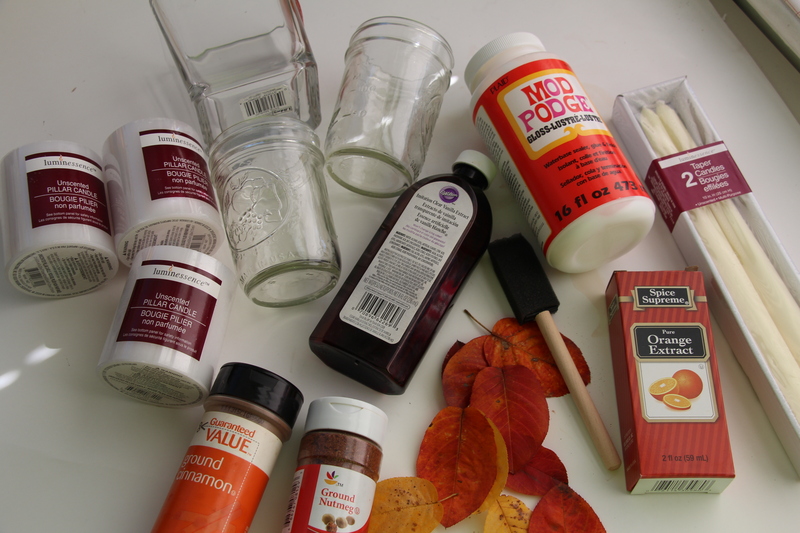 In preparation for our first major holiday as husband and wife, I’ve decided to do a little Fall/Thanksgiving DIY. 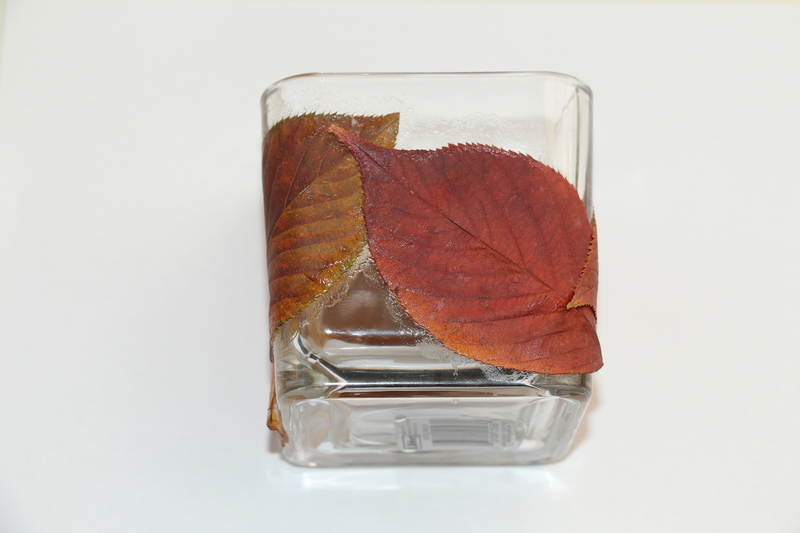 What’s easier than adding warmth and aroma to your home than a candle? Especially one that smells like dessert! 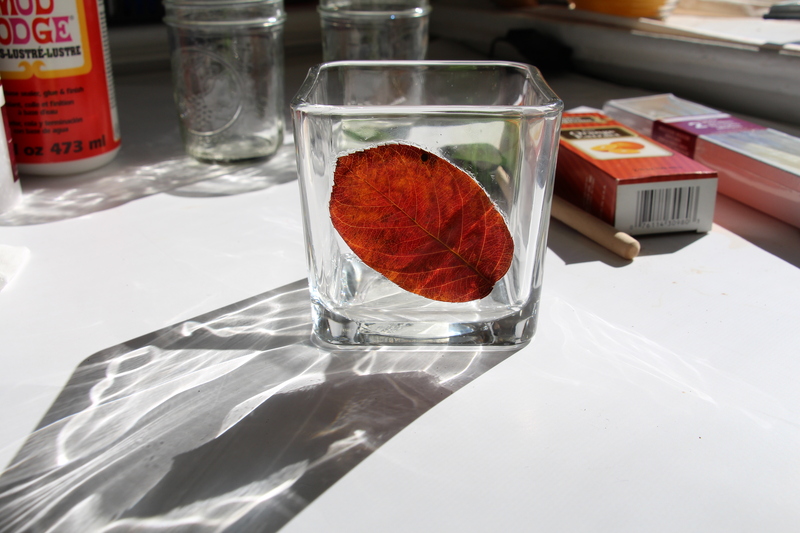 1) Start by gluing your leaves onto the small vase with Mod Podge. I glued the back and then went over the edges. 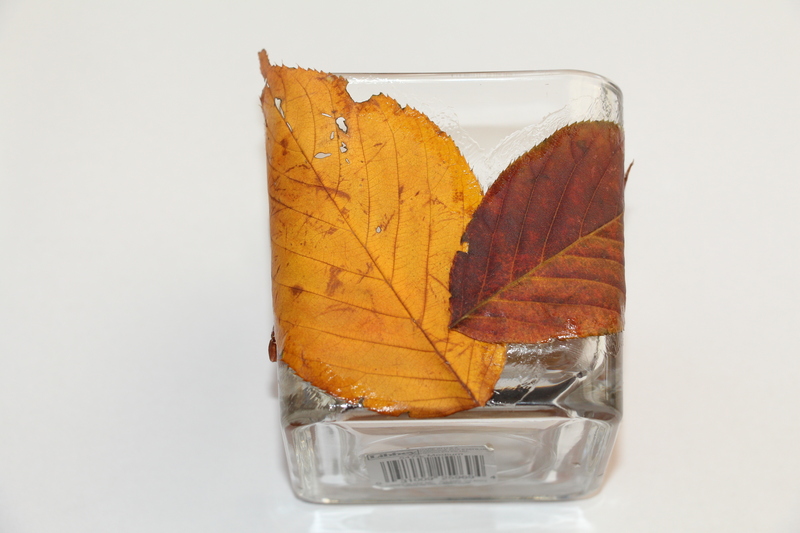 I also didn’t flatten these leaves since they were pretty soft and pliable. 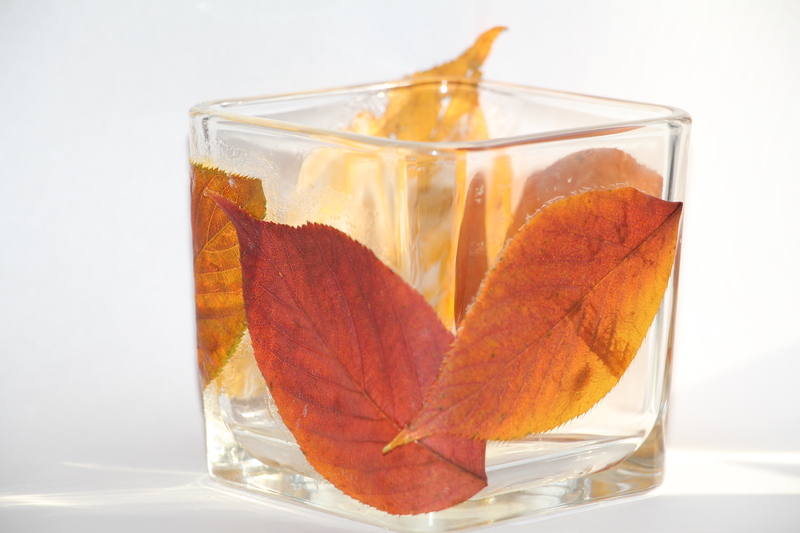 2) While your leaves are drying, cut up your candles. I got mine from the dollar store and they weren’t wax all the way through. 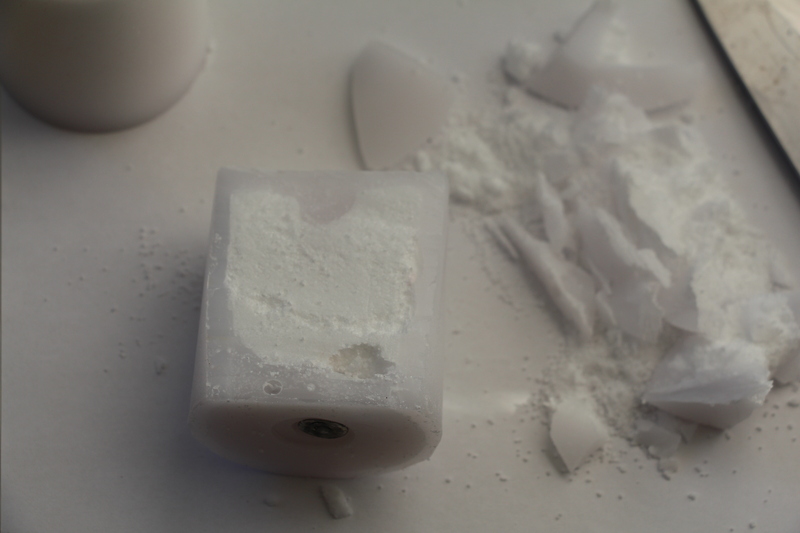 There was a powdery like substance in the middle which I thought was weird. I ended up mostly using the tall table candles. 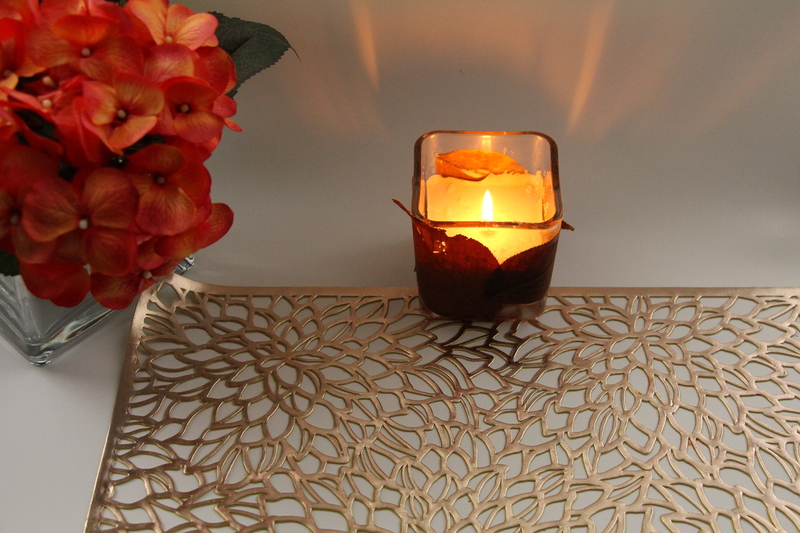 3) When cutting the tall candles, be sure to do it in a way you can preserve the wick. This is what I used for my final candle. As luck would have it, I ended up cutting through a lot of my wick by accident but still ended up with a piece long enough. 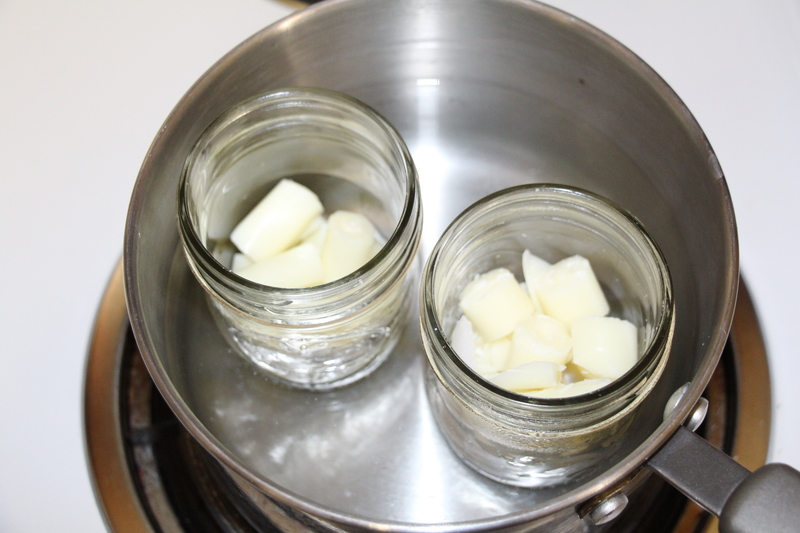 4) When you’ve cut up all the wax you need, place it in the canning jars to create a double boiler. 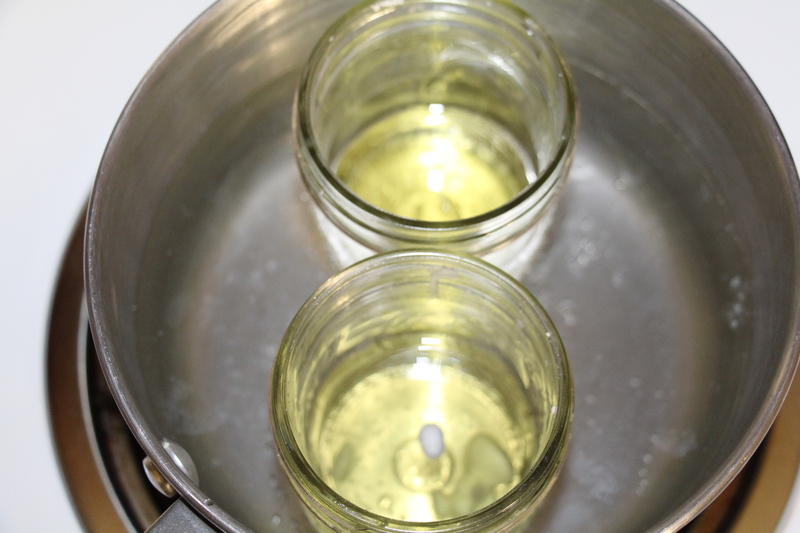 I put water in the pot, placed the jars, and then boiled on medium. 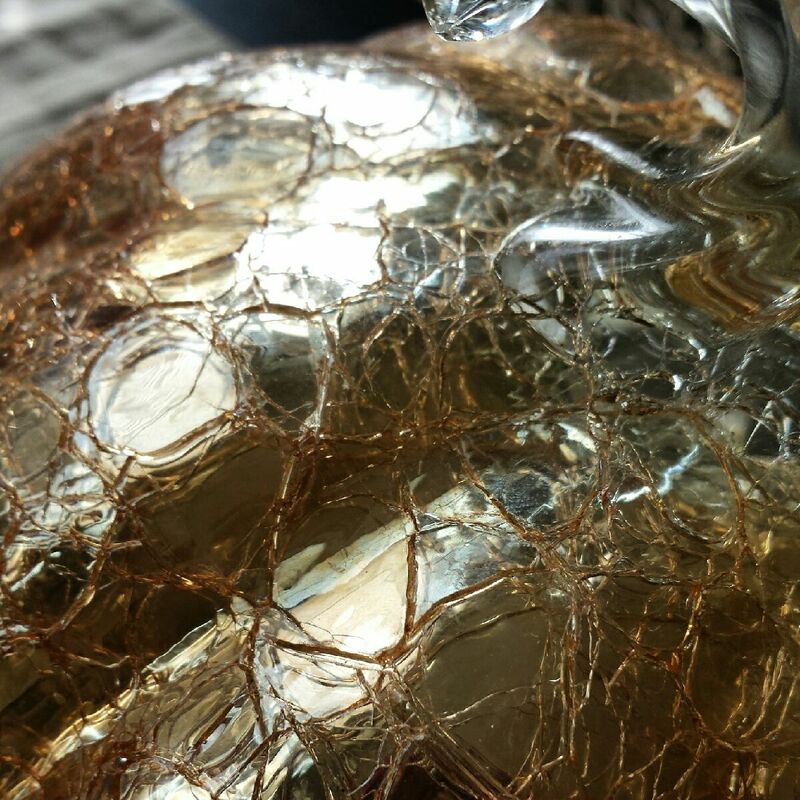 I also stirred the wax to make the process move along faster. 6) At this point, add your cinnamon, nutmeg, vanilla and orange extract. 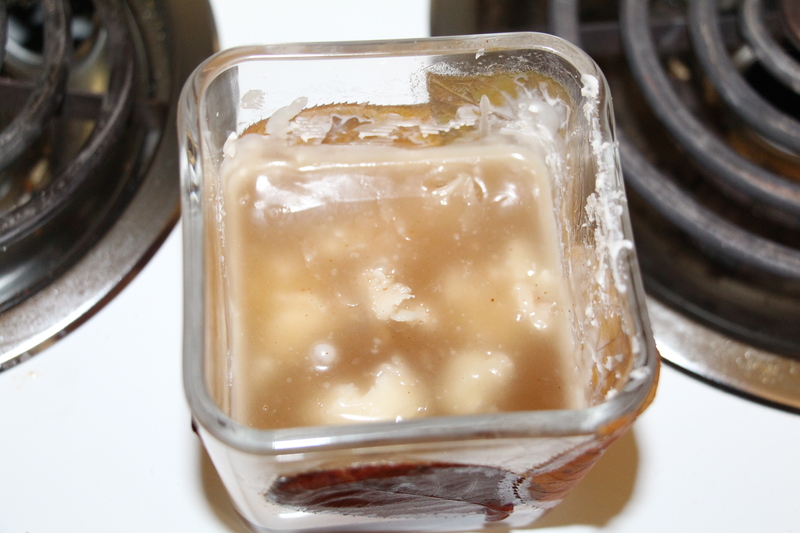 The liquid ingredients will start to clump because of the temperature difference. No worries, just keep stirring/mixing. This shouldn’t take long. 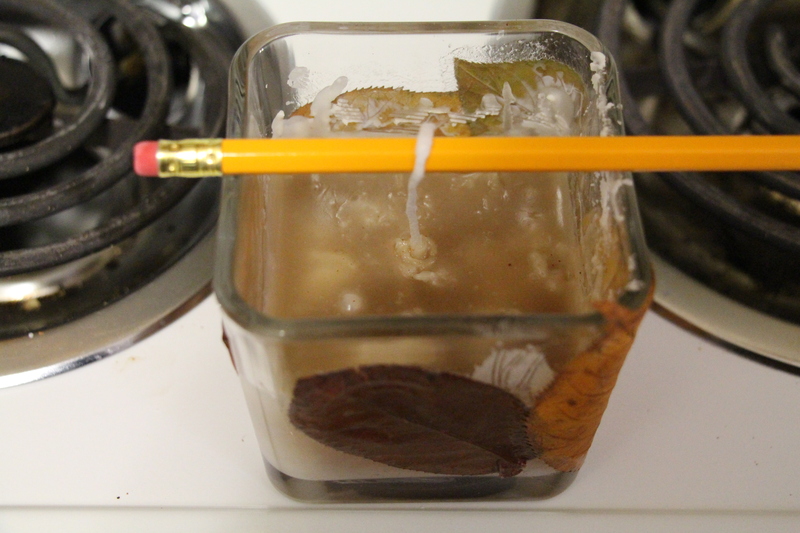 7) After you’re done mixing, place your wick in the middle and loop it over a pencil to keep it steady. 8) After it cools down a bit, you can put it in the refrigerator to solidify faster. I left it in there for about 3 hours just to be sure. Make sure you scrape down the edges for a cleaner look. Light your candle and enjoy your diy. Plus, your house will smell like fresh baked pie….everyone loves fresh baked pie.